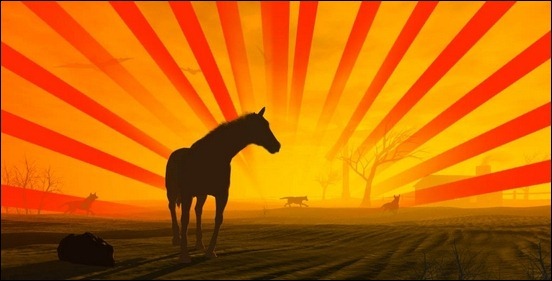 If you want to create that famous sunburst or rising sun effect that is commonly used in retro design and pop art, all you need is a few Photoshop sunrise brushes. 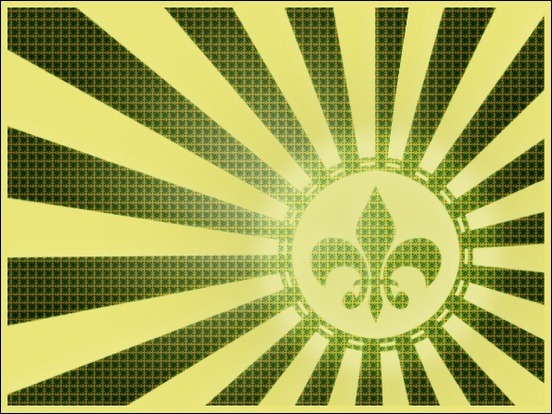 The rising sun effect is great for creating a stripe texture and it works well as a background for postcard and poster designs. 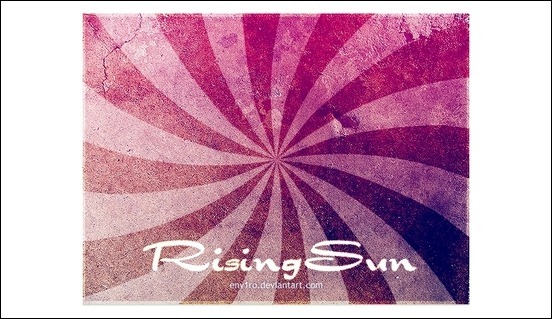 With a bit of noise and grunge effect a rising sun brush also makes a great design element for grunge artworks. 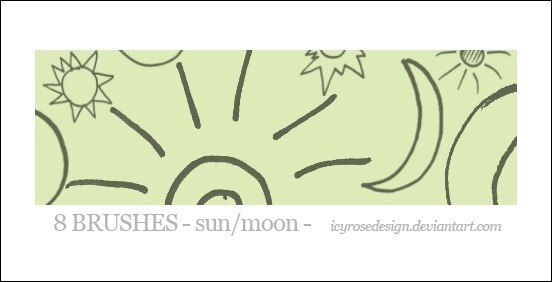 You will find all the rising sun brushes you need in your designs in this article. 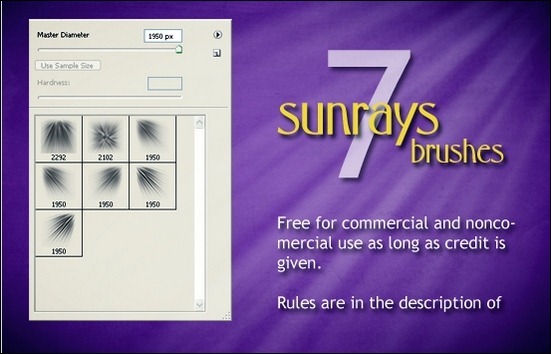 In addition, I added some sunray brushes that I am sure you will find useful. I recently collected some cool light brushes as well. Many of these brushes are related to the brushes you find here and I am sure they could work well together. The paintbrush (B) in Photoshop is one of the most powerful tools and if you think it most useful for Photoshop beginners, you are wrong. Seasoned designers with a great arsenal of various brushes and experience using them can do serious magic in a few minutes. 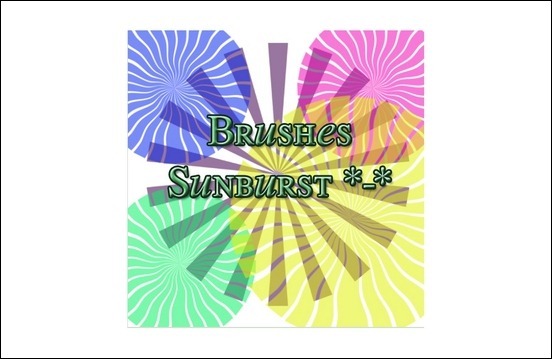 Time for you to fill up your designer toolbox with some cool sunburst brushes and get started using the rising sun effect in your designs. 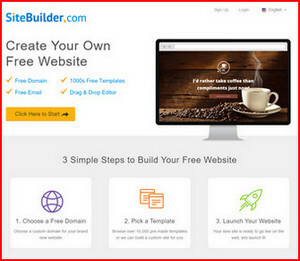 Play with them and I am sure you will get some creative results really fast. 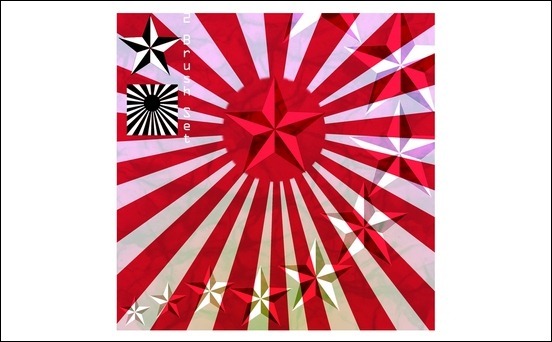 10 sunburst custom shapes. some are twirled, most simple but fun and cute. 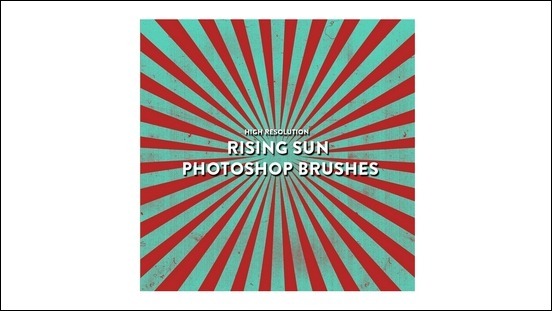 This pack contains 28 beautiful rising sun brushes for Photoshop. This pack contains 5 simple retro brush set for Photoshop. 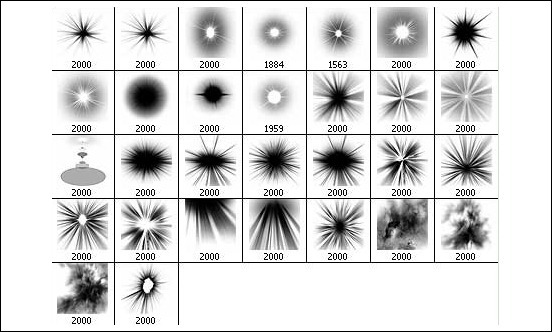 A set of 2 lovely high resolution brushes; the nautical star and sunburst both in 2500px for Photoshop. This pack contains 18 lovely brushes for Photoshop. Simply dummy method, but awesome effect. 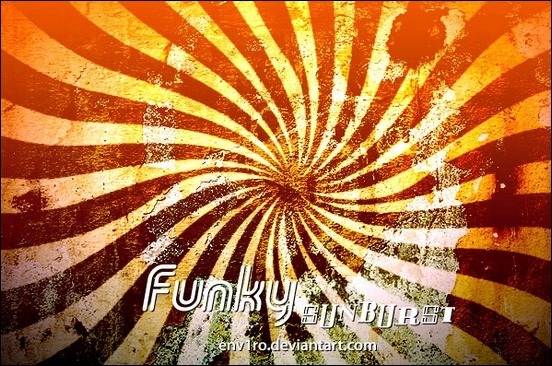 Get funked up with these brand new Funky SUNBURST pack in Illustrator. This pack contains fresh 11 brushes. 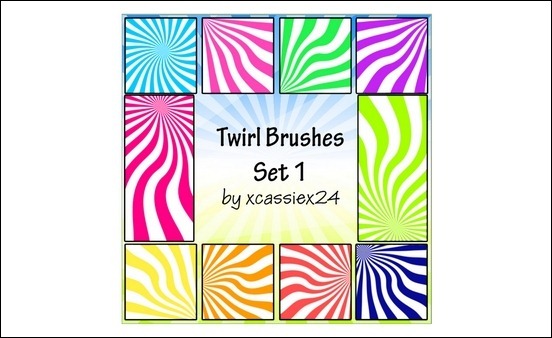 A first set of beautiful twirl brushes made from Adobe Photoshop CS3. 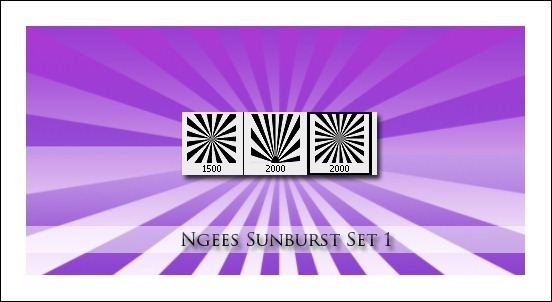 A set of 9 unique sun brushes made in Photoshop CS3. 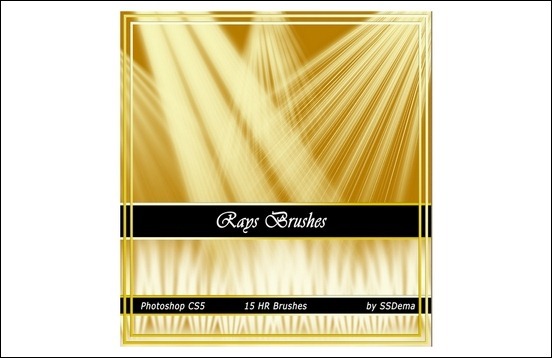 This set contains rising brushes with a size of 1280×1024 pixels. 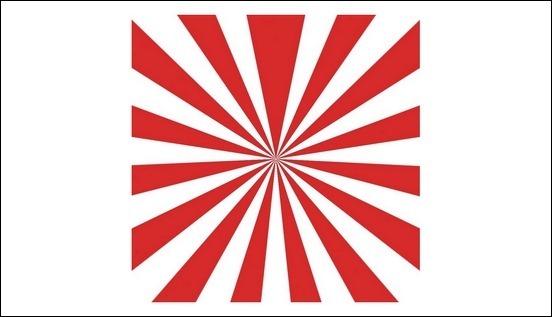 This is very cool for those vector backgrounds or any style of background. 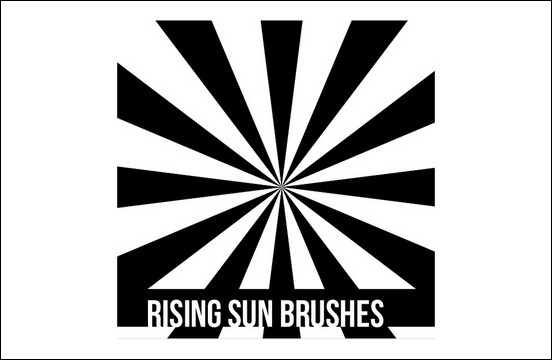 This brushes were often referred to as the “Rising Sun” effect. 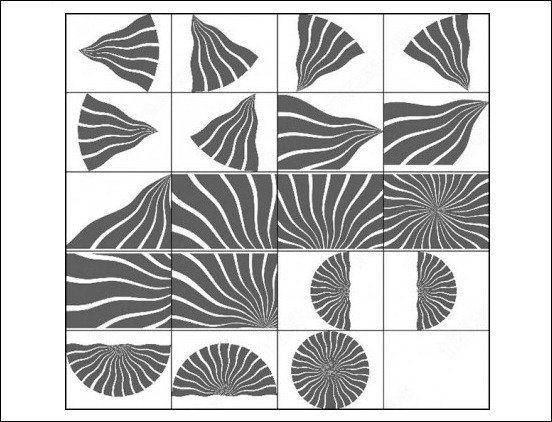 The larger the brush directly below is 2500 x 2500 perfect for your future designs. 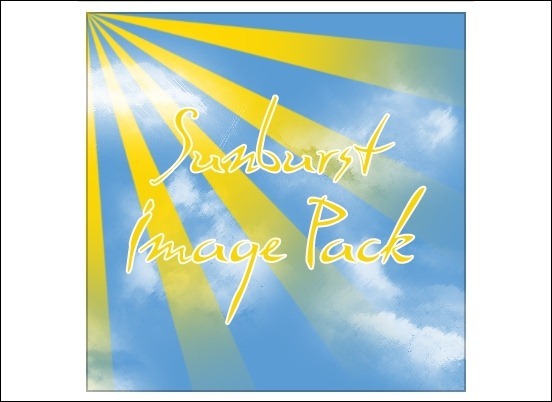 A beautiful sunburst image pack perfect for your future designs. 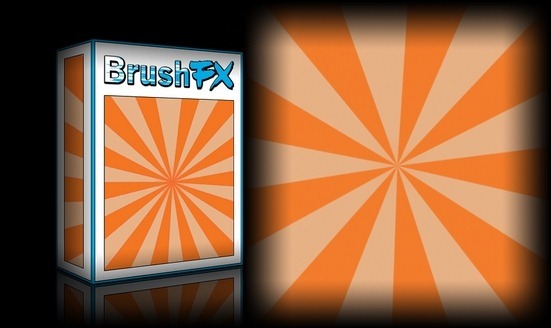 A great set of Photoshop light brushes for free. This set contains 30 brushes perfect for your future designs. The 2nd set of vector line brushes now with 15 new brushes, even fading brushes. These set of beautiful brushes was made with Photoshop CS2 with sizes of 200×200 and 1280×1024. This set contains 9 brushes for Photoshop 7 and above. 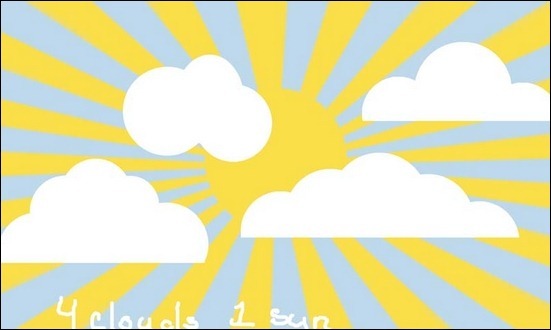 This set contains 4 clouds and a sun brush pack perfect for your future designs. 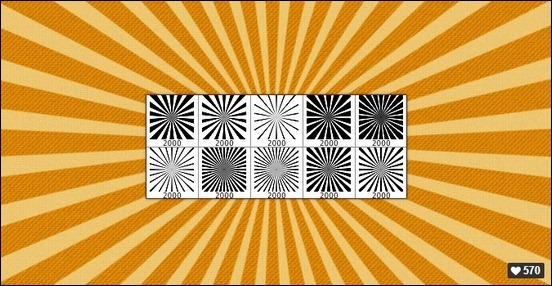 A set of 9 sunray/sunburst brushes made in Photoshop CS3 with sizes from 600-1200px in width. 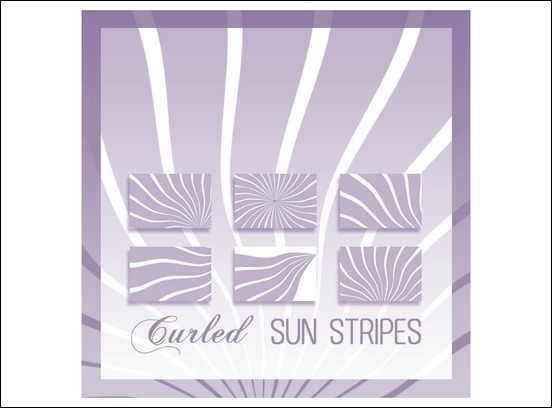 This set contains 20 beautiful curled sun stripes brushes for Photoshop 7.0. A set of cool 9 big brushes made in Photoshop CS2 and Illustrator CS2. This was made to make your life more easier. A beautiful brush set for Photoshop perfect for your future projects and designs. 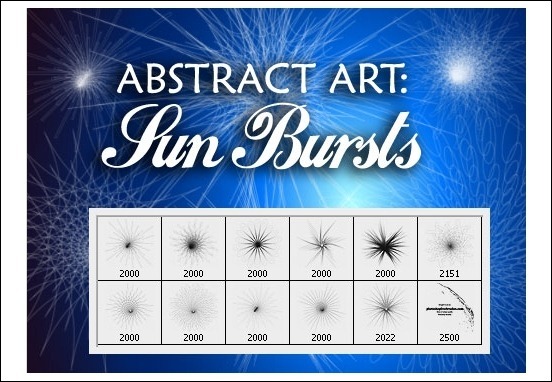 A set of 10 high resolution sunburst brushes in a variety of shapes and sizes. Each brush is 2000px which should give you plenty of options within your designs. 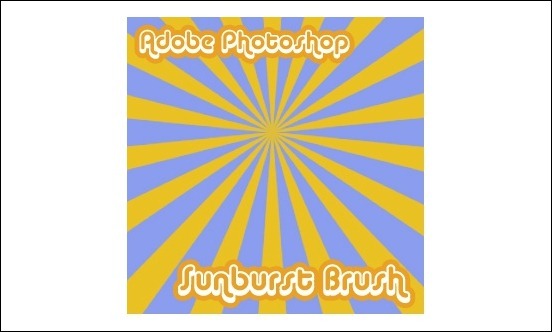 A Photoshop brush for making sunbursts. 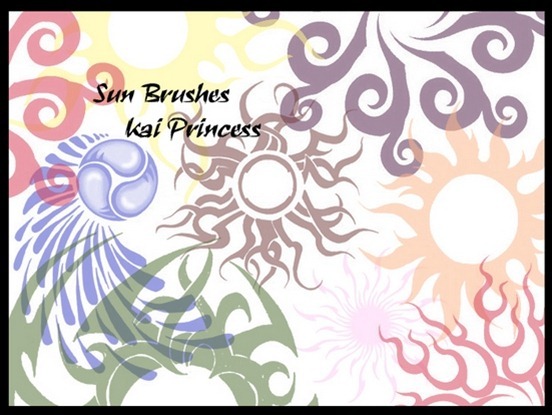 This set contains 8 beautiful brushes of sun and moon perfect for your future projects and designs. 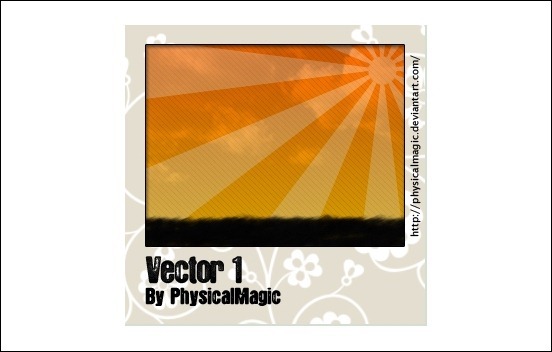 A set of beautiful sun vector brush made in Photoshop CS2. 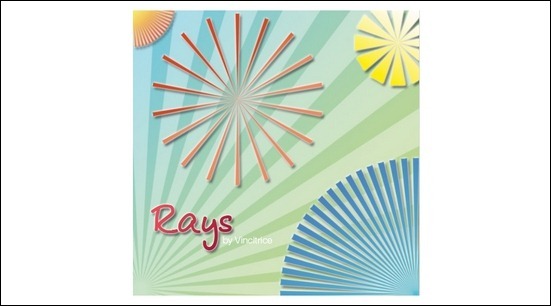 This set contains 13 cool ray brushes for Photoshop CS3 most of them has 2500px perfect for your future projects and designs. 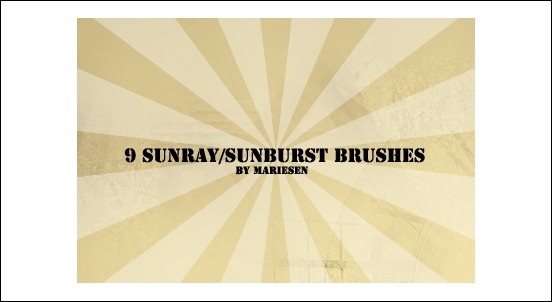 This brush set contains 23 different sizes and variations of sunbursts. They include solid bursts as well as ones that fades out in the end. This can be used for your personal, commercial or non commercial designs in the future. 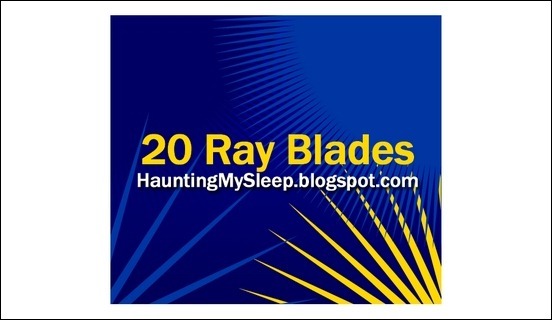 A set of 20 Ray Blade brushes. They are in corner pieces in each direction and you can put them all together to create a rising sun! 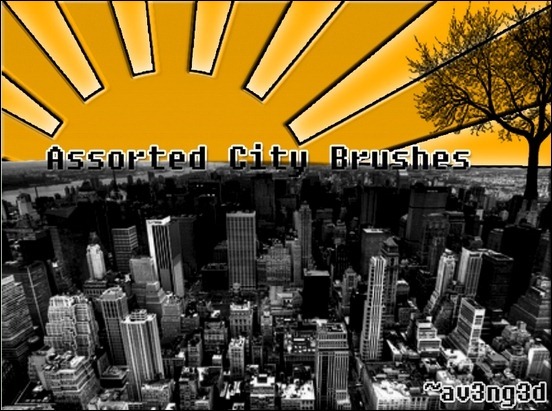 A set of high resolution sun lighting brushes perfect for your projects and designs. 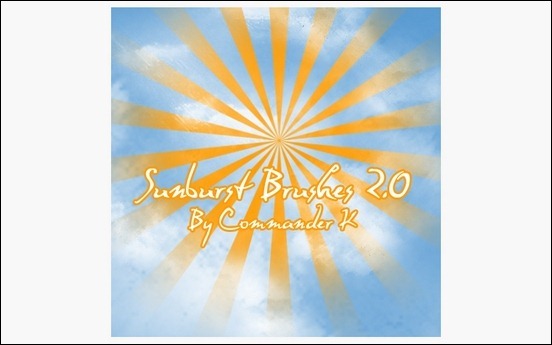 A first set of the rising sun brush pack for Photoshop. 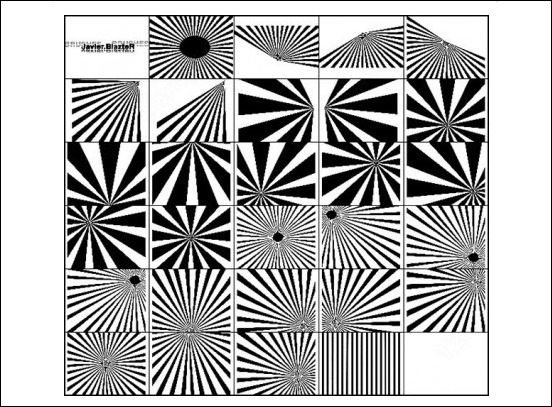 A set of 16 vector line brushes made with Photoshop CS2 with sizes of 1280×1024 + 1280x 2048 px. 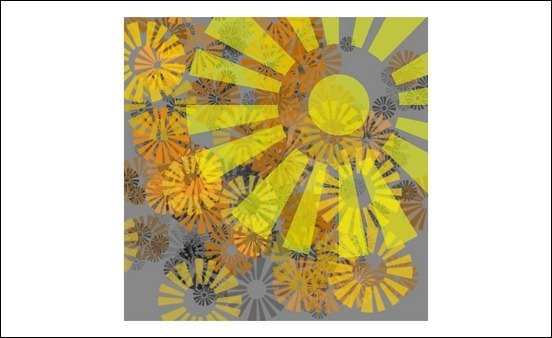 The third in our series of abstract art Photoshop brushes is composed of shapes that resemble sun bursts. 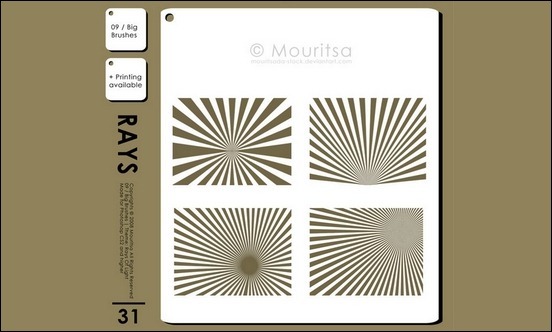 These brushes are useful if you want to add something that resembles the sun in a different way such as in designing summer party postcards or invitation cards. 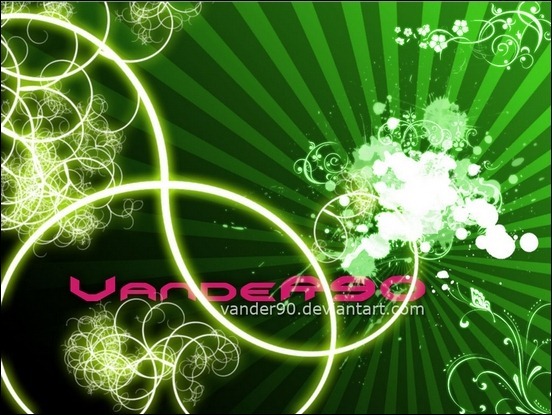 This set of abstract art Photoshop brushes was created in Photoshop CS2. The resolution of each Photoshop brush range from 200o pixels to 2500 pixels. 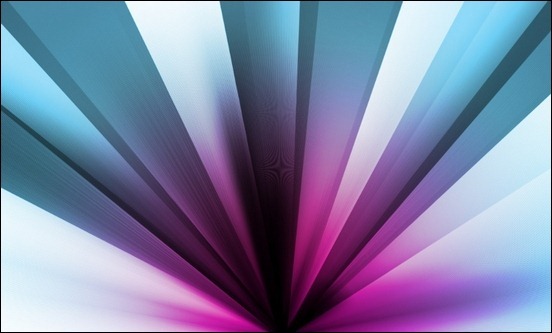 A set of beautiful gradient ray brushes made in Photoshop CS-CS5. This pack contains 5 brushes with sizes of 2500px perfect for your future projects and designs. 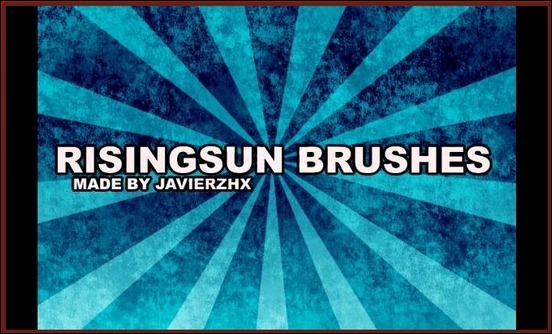 This pack contains 5 high quality brushes composed of 4 sun brushes and one with a lot of tripe’s. 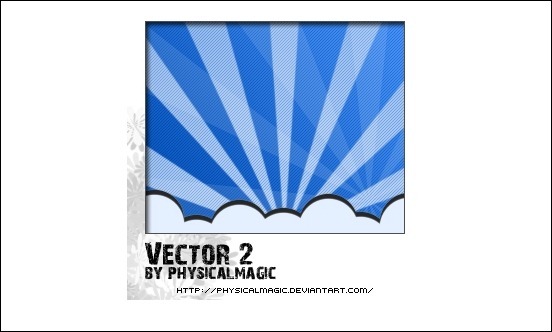 This pack contains 2 beautiful big vector beam brushes both in 1600-1200px use to make special effect. 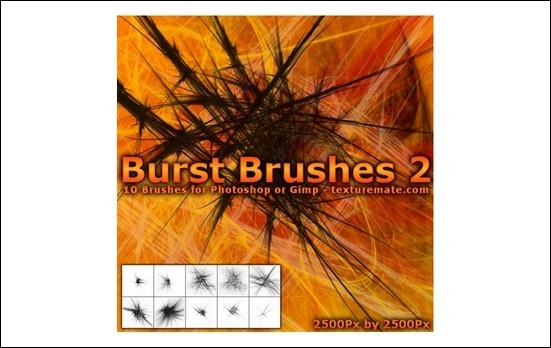 Here’s a set of 10 rendered burst brushes that are 2500 pixels in size! They will work in Photoshop 7 or newer as well as Gimp. 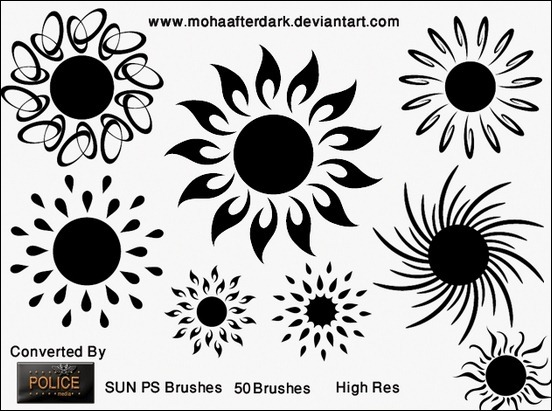 This is a set of 50 lovely sun brushes created using Photoshop CS4 perfect for your design needs. This set contains high resolution brushes made in Photoshop CS5. This pack can be useful for your future designs and projects. This beautiful brush set is free for commercial and non commercial use. A set of solid sunburst with a feathered edge perfect for your future designs. 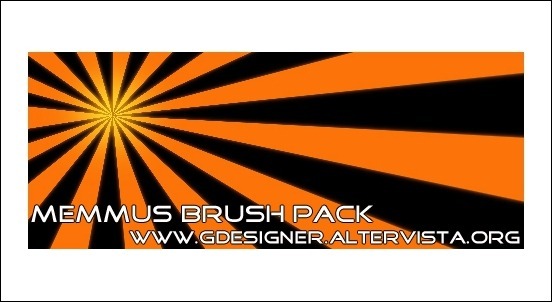 A cool orange and black sunburst brush pack perfect for your future projects and designs. 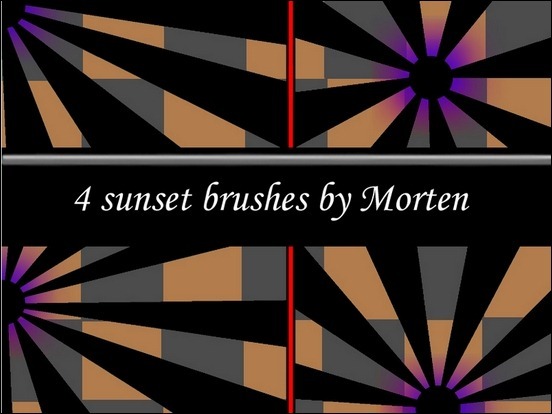 A cool set of sun brushes that you can use for your designs. 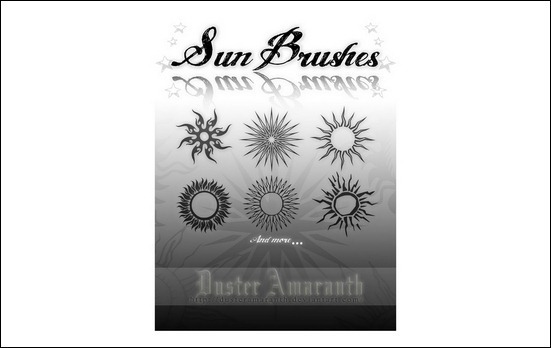 A unique set of sunburst brushes made in Photoshop CS2. This pack contains 24 lovely brushes that you can use in your future designs. 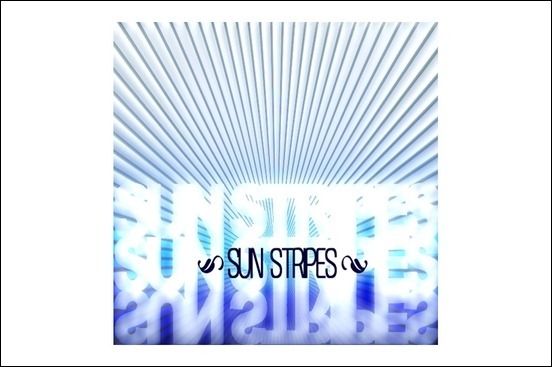 A great compilation of 20 curled sun stripes brushes for Photoshop 7.0. A cool unique sun brush with a dead tree. The city outlook is cool too. This brush pack is really worth checking out. 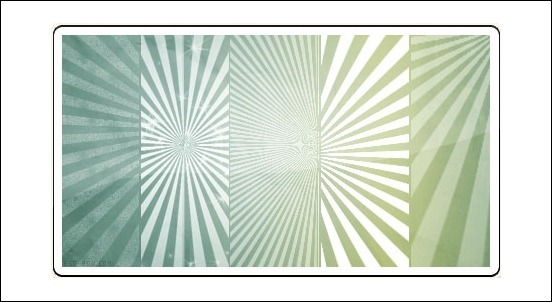 A set of 8 beautiful Sun Stripes brushes for Photoshop7.0!